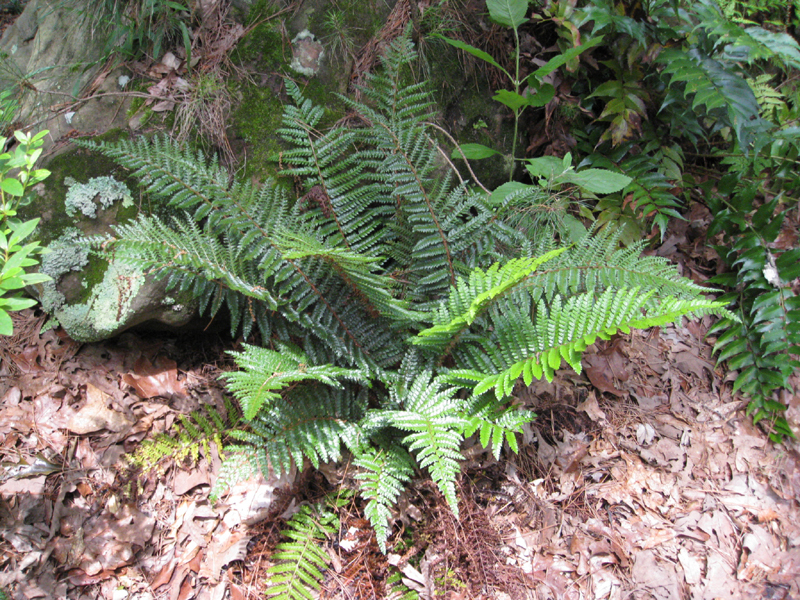 Comments: An evergreen fern that needs protection from direct sun and a moist, humus, moist soil in which to grow. Excellent in the woodland landscape where it gives green color in winter. Has striking effect when used with hostas or autumn ferns in the graden.